I had been so busy that I haven't updated my blog for several months !!! The Skinfood Fresh Cabbage Hair Pack is only available in Korea and not available in Hong Kong or Taiwan. This is a refreshing hair mask suitable for oily/damaged hair. Cabbage can help control excess oil in your hair scalp. 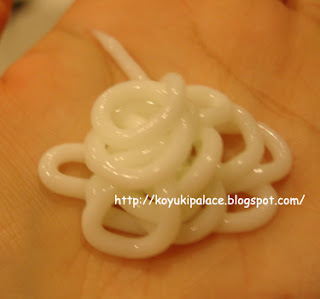 After shampoo, dry your hair, massage the hair pack onto your hair, wait 5 mins and rinse with warm water. Skinfood has 2 hair mask, the other one (Moisture Egg Hair Pack) is much more moisturizing~ I will review this one shortly !